Gear Tie 12 Inch. 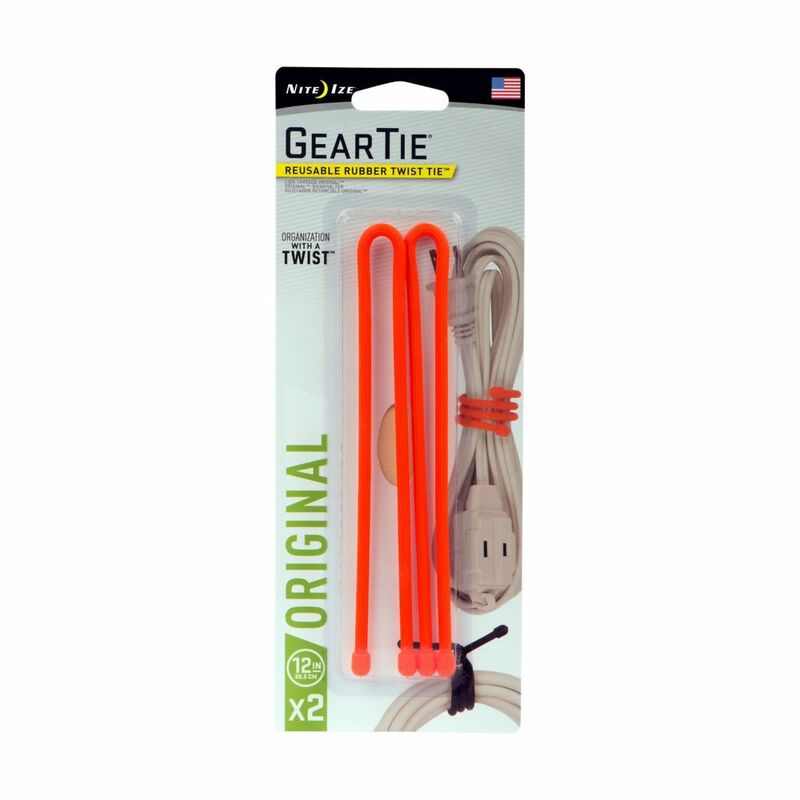 2-Pack Bright Orange With its strong, bendable wire interior and sturdy rubber exterior, the Nite Ize 12" Gear Tie is the perfect size for bundling, connecting, and organizing everything from workshop tools to children's toys. With a simple wrap-and-twist motion, it keeps appliance wires, cables and cords tangle-free, organizes tools, art supplies, and sporting equipment, binds and neatens kitchen gadgets, craft supplies, toys, and more. Reusable, water-proof, available in 2 packs. Gear Tie 12 Inch. 2-Pack Bright Orange is rated 4.3 out of 5 by 11. Rated 5 out of 5 by Alpaca from Did everything I expected. Twist and lock!... Did everything I expected. Twist and lock! Rated 1 out of 5 by HomeDepotCustomer from Too weak I think, I need something stronger.... Too weak I think, I need something stronger. Rated 5 out of 5 by Roadrunner from These things are better than Zip Ties We use these all over the place. Any place that a person can use a zip tie, you can use one of these. We have a plastic fence that we use to keep our dog in or out of the back yard depending on the weather. If we want to open up the fence, we open it up by taking these off instead of using and cutting zip ties every time.